U2 How To Dismantle An Atomic Bomb (Rare 2004 UK promotional-only numbered framed art print designed by The Edge. 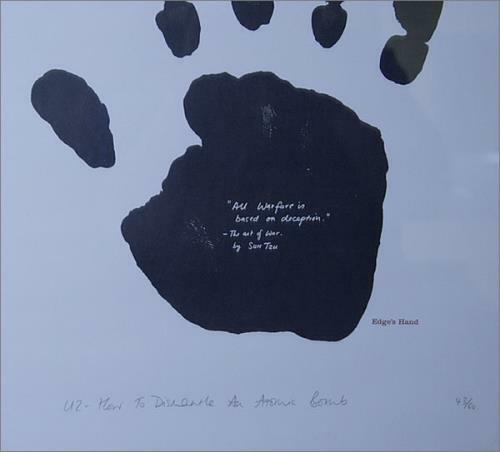 It features an enlargement of the Edge's handprint with the quote 'All warfare is based on deception - The Art of War by Sun Tzu'printed on the palm of his hand. Also includes the band name, album title and number handwritten in pencil underneath. This amazing collectable was only given away at the album launch party, to friends or VIPs. Beautifully framed and glazed,this print measures 24�" x 18�" and is ready to display on your wall. This item is numbered out of 60 only!. 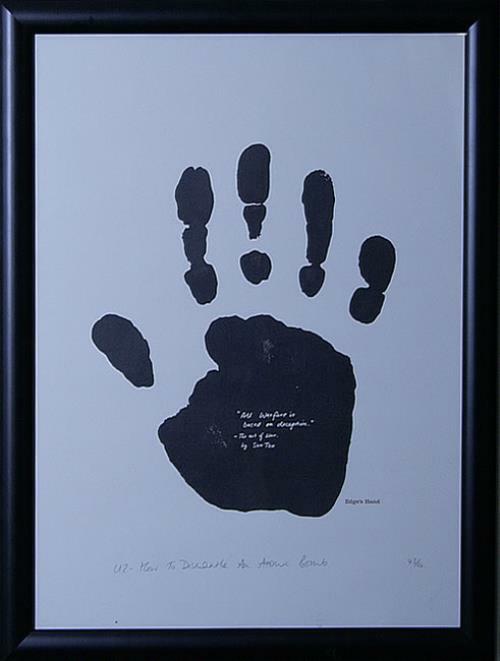 A stunning must have for any serious U2 collector).